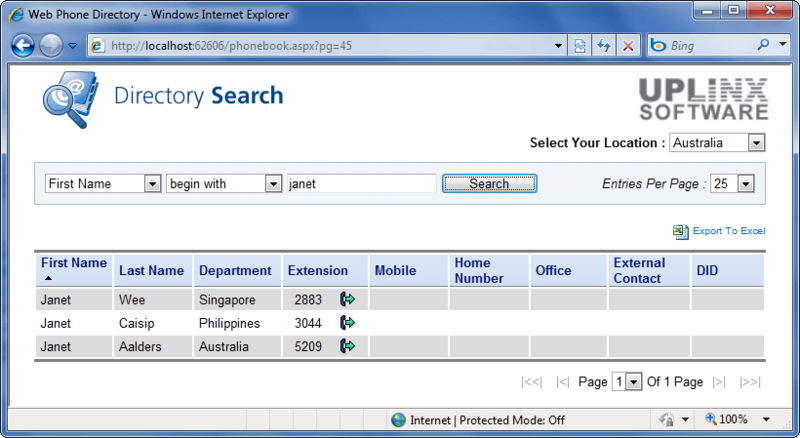 Provide a consolidated, feature-rich and customisable directory on your IP phones. Complete contact details from multiple sources. 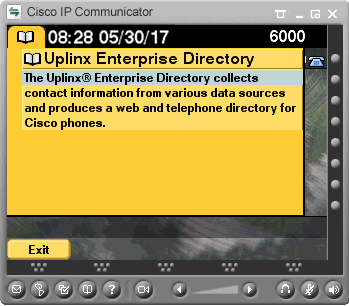 The Uplinx Enterprise Directory is a comprehensive solution to provide a consolidated, feature-rich directory to all Cisco IP phones in the enterprise and a web phone book with click to dial for the intranet. 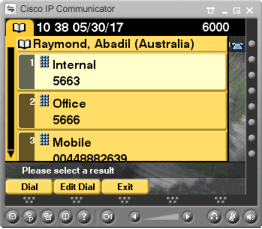 Contact phone numbers (mobile, alternate office, emergency) previously unavailable on a Cisco phone can now be included in the directory. 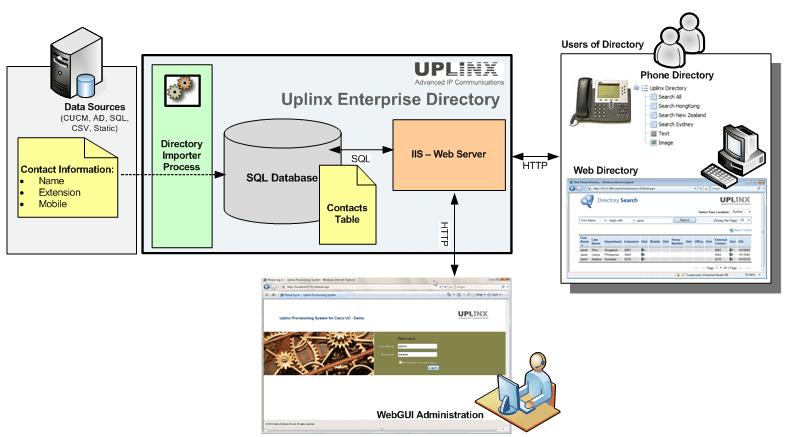 All configuration management and monitoring is performed on the WebGUI of the Uplinx® Enterprise Directory system and can be accessed by any web browser. Multiple administration and operational users can be configured to access the system via role based administration. Every action on the system is logged and reports can be generated on performed actions. The administrative WebGUI is a 3rd generation web interface which has been designed to be user friendly and is integrated with extensive help. Although being a web application with associated benefits like security and access from anywhere, the WebGUI appears more like a locally running form based application with responsiveness and asynchronous behaviour (no page refreshes). All configuration and reporting data is stored in a Microsoft SQL server. 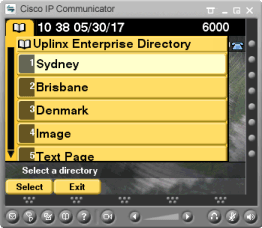 Please contact us for a quote or to schedule a free web demo session to see how the Uplinx Enterprise Directory can add further value to your Cisco telephony system. Directories can be customised such that the data can be presented in a hierarchical logical structure. Contact details can be organized according to geographical areas, business units, departments or service sections such as emergency or security functions at specific locations. Contact information can be merged from multiple sources, for example internal extension from CUCM can be enhanced with mobile from AD. Data can be sourced from multiple sources and directories are presented to phones and web. The web based admin interface allows for easy and quick configuration of all settings. Designed for large enterprises with multiple data sources and advanced topologies. The image viewer can include any number of phones. 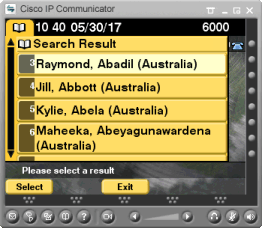 can work smarter by easily locating all phone numbers relevant to their organisation from their IP phones or an Intranet page. The directory information on the phone is complete and structured. achieve cost savings by improved end user productivity. Reduced call costs due to more on-net calls as they are now available from IP phone directory. 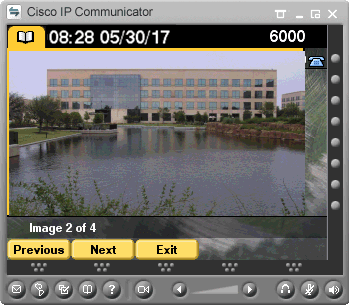 Leverage Cisco phone screens for location maps and emergency procedures. save costs by automated import of contact information. Paper based directories can be easily exported from the consolidated data. 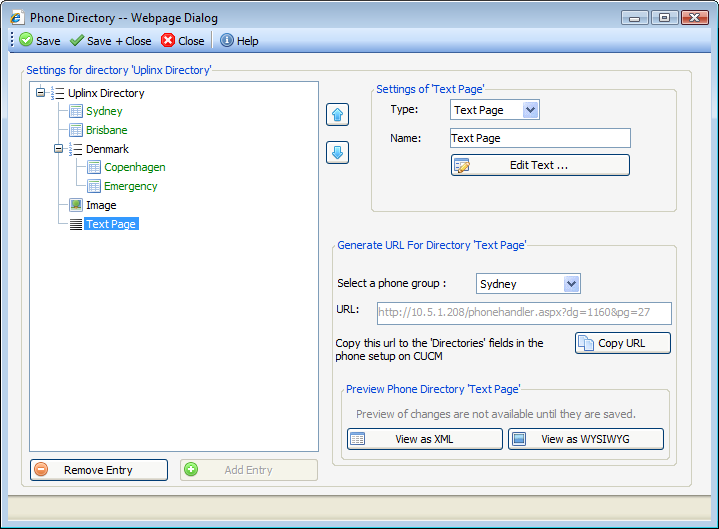 Online phone directory can be quickly integrated into an organisations intranet to support Cisco Web Dialer. 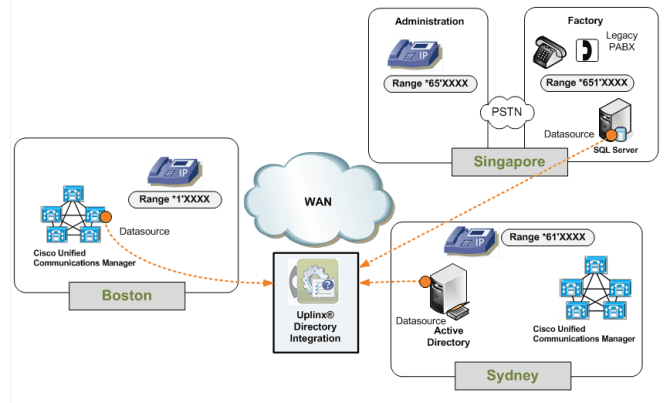 We were able to quickly integrate multiple systems by retrieving contact information and displaying it on Cisco phones and intranet web pages. We replaced our custom solution with this product because frequent Cisco releases and new phone models required compatibility changes.